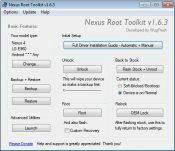 Nexus Root Toolkit simplifies the process of unlocking/relocking, rooting/un-rooting Android devices. 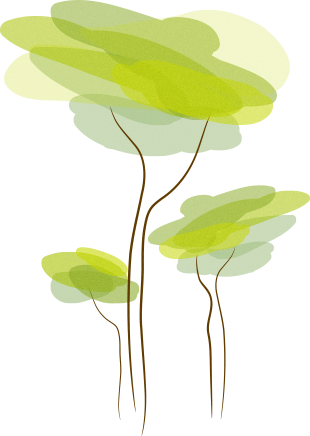 Tools that you conventionally get in different packages are now unified in a simple solution. 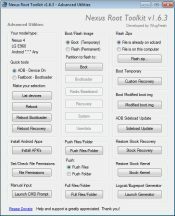 From rooting and unlocking to back-up features, this app knows it all. 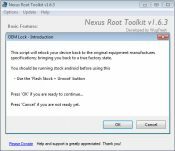 Users can flash zips, generate reports, restore Android back-up files and boot image files. 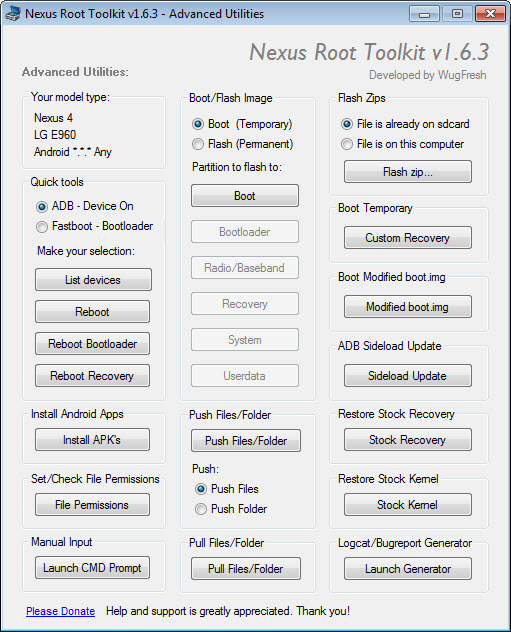 Integrated TWRP tasks are automatically performed. 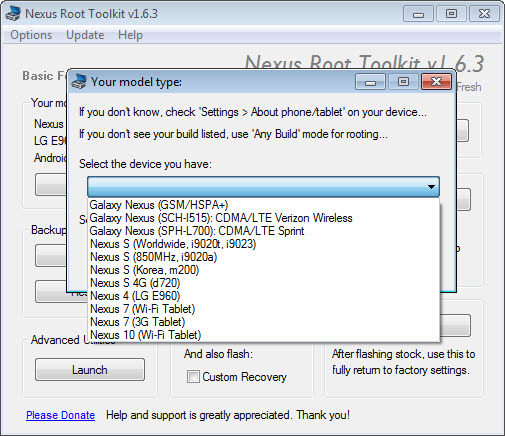 In addition to that, the latest Android is supported on any Nexus device. 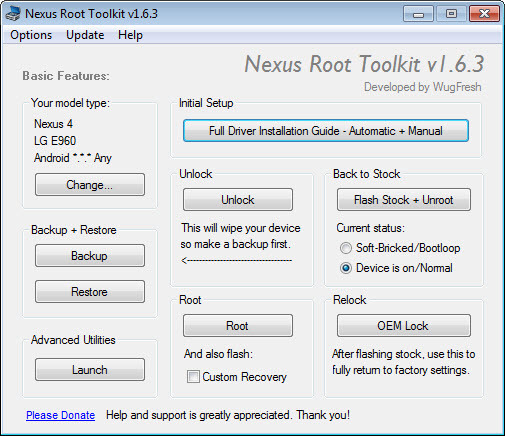 If not sure what version to install, the toolkit does it all automatically: it selects the proper version for your model, downloading, installing and updating it periodically. 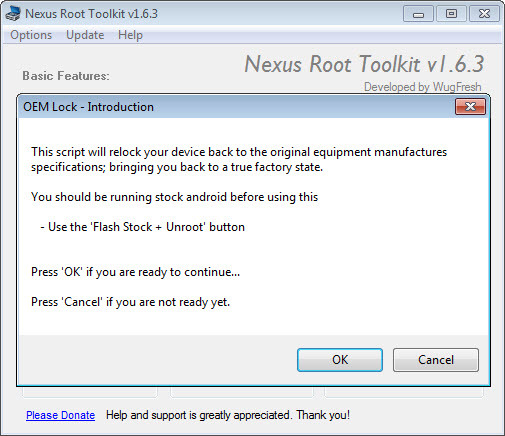 The stock kernel can be rewritten to the device, so that users can gain back the warranty.